Anna Wells, who grew up in Michigan, finds herself suddenly in St. Augustine the owner of what she thought was the home of a dear aunt. 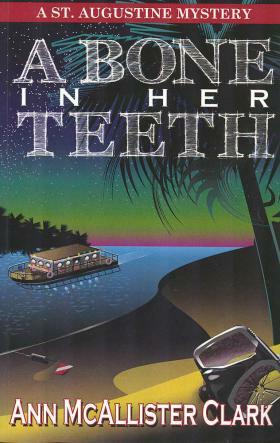 Instead she finds she’s inherited a 1956 outfitted barge moored at Safety Harbor Marina. 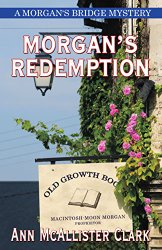 Anna finds her life taking twists and turns she never expected — including romance and murder. Along the way, Anna meets some fascinating and some frightening individuals. 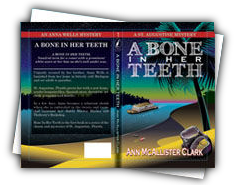 As author Clark explains, “A Bone In Her Teeth” is a “nautical term for a vessel with a prominent white wave at her bow as she’s well under way.” And the author also notes that this book in “the first in a series of the charm and mysteries of St. Augustine, Florida.” Clark’s first book is fast paced, weaves an intriguing tale of murder and for residents of St. Augustine provides further challenges as the reader tries to figure out just where the marina is located, especially in regard to the bookstore at which Anna finds a position. 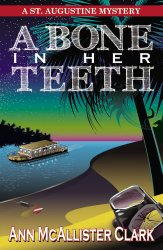 You’ll find “Bone” a fun read, especially great for the winter nights which have descended now upon the ancient city. Snuggle up to a roaring fire and become immersed in Anna’s new life in the oldest city. 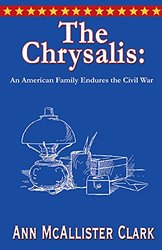 You’ll find Clark’s book a quick, fun read.